The movie theater experience has come a long way since first screening silent films over 100 years ago. Today, the action — and communication — needs to take place on and offscreen during a movie. And Venue Valet is bringing the Hollywood treatment to moviegoers, working with theater owners to outfit theater seats with call buttons that allow for in-seat food and beverage service. 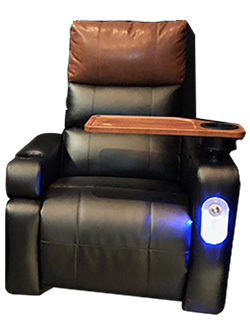 Our client is committed to providing easy and intuitive ways to order directly from theater seats without distracting from the action taking place on the big screen. Whether it’s a movie theater or a home theater, lighting has the power to make or break the experience. To enhance overall quality, the viewing room should be dark and include just enough illumination for people to move around safely. 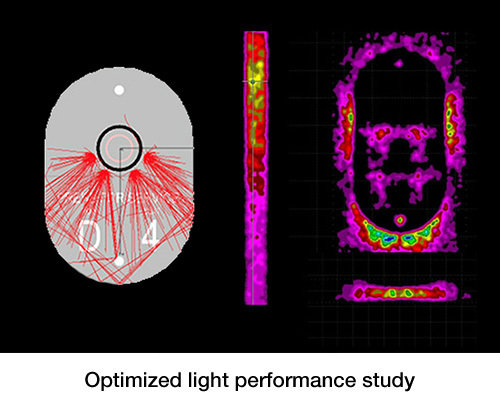 This is where intelligent lighting design comes in. 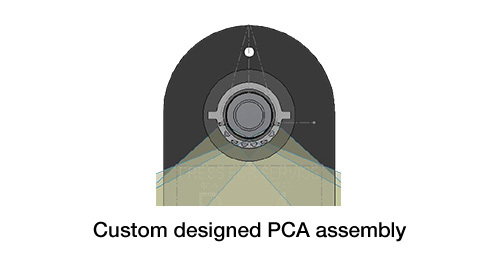 In just three short weeks, VCC’s design team developed and prototyped the ideal solution. While installing in-seat call buttons on new seats is relatively seamless, retrofitting existing theater chairs in a way that is cost-effective and aesthetically pleasing is a more complex task — one that required cutting through fabric and plywood. That’s why Venue Valet developed the new call button with a ring light. This acrylic plate is laser etched with the theater logo and each seat number, requiring just a 1” hole in the chair for installation. In addition to the illumination around the call button in the plate, there is also some light spray off the edge of the acrylic that helps illuminate the walkway. With distracting hot spots and light pollution, the existing design was falling short of the desired effect — so Venue Valet enlisted our help. VCC’s custom design delivered a solution worthy of rave reviews from theater owners and moviegoers alike. Leveraging extensive experience, VCC’s design team quickly designed, prototyped and produced the solution that exceeded our client’s expectations. 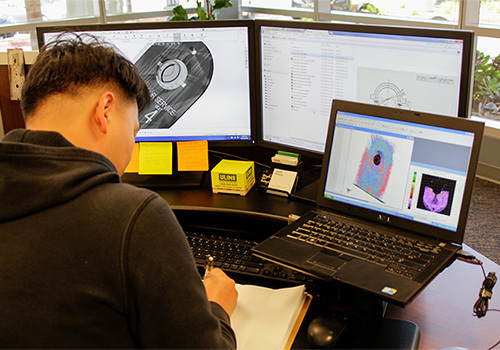 Whether you need help with prototyping, or simply want to optimize your existing design, VCC is the only partner you need. Contact our team today.